The area contains abundant singletrack and doubletrack on forested slopes, along with ample opportunity to "no track" on big open slopes. There is well over 40 miles of singletrack and doubletrack to ride, starting back at the bridge. It's a great area to spend a couple of days riding and exploring. Bring some Google Earth sat images and a compass to help keep your bearings. Review: Beautiful area with big slopes perfect for riding. 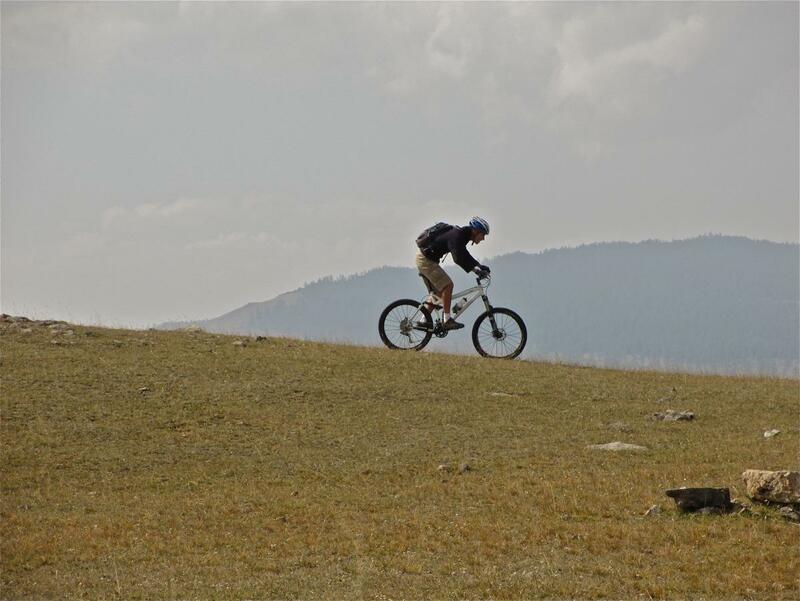 In fact the entire Hovsgol region is packed with open forests and mountains just begging to be explored and ridden. The opportunities are endless. This is All Mountain/Enduro wilderness at its best -- gorgeous and untouched. It's difficult to give the local area of Sagsagiiun Ridge a difficulty rating because it really has it all. You can take on as difficult of a challenge as you like. Sagsagiin Ridge Trails MTB Trail 5.00 out of 5 based on 1 ratings. 1 user reviews.